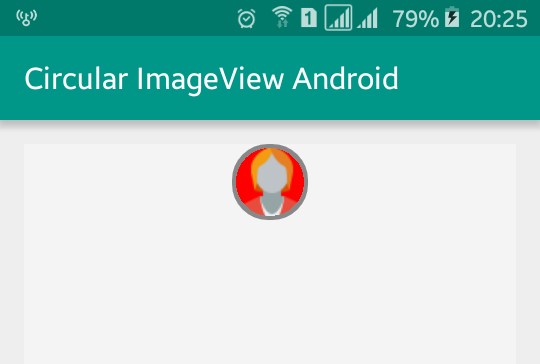 In this tutorial, you will learn to make circular android imageview with border color. 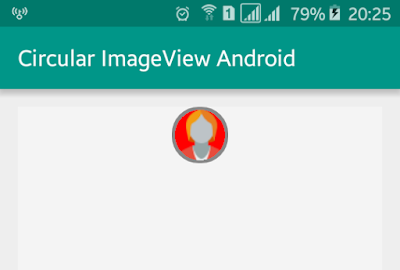 ImageView widget is used to display images or icons in android application. To display image in android, you can use android.widget.ImageView class and android provides Bitmap class to handle image, which is found in android.graphics.bitmap. There are many ways to display and make circular images in android and here I am going to show you one of the best and simple ways. Here, I have used Bitmap, BitmapFactory, RoundedBitmapDrawable, RoundedBitmapDrawableFactory, etc. Create a new android project and open your app XML layout file. Add an ImageView inside RelativeLayout or any other android layout and give it and id. Following is the complete content of XML layout file. Now open your java activity file and define the variable for Bitmap, ImageView, RelativeLayout, Resources, and Context. Following is the complete code of java activity file. You can copy and paste it in your project java activity file. That’s all. Run your Circular Android ImageView with Border Color application, you will see the circular image with border color. This is a simple example of circular image view, you can give your own look and implement it in your application.